Recently Warehouses De Pauw (WDP) went ex-dividend and I noticed an increase 5,9% increase of the yearly dividend from €4,25 to €4,50 per share. As I own 11 shares of WDP my yearly estimated dividend income will increase with €2,75. Recently Apple announced an increase of their quarterly dividend from $0,63 to $0,73. This is an increase of 15,9%. The yearly dividend will be $2,92 per share. I own 10 Apple shares so my estimated dividend income will increase with $4,00 as a result of this dividend increase. My yield on cost after the dividend increase will be up from 1,8% to 2,1%. Recently Johnson & Johnson announced an increase of their quarterly dividend from $0,84 to $0,90. This is an increase of 7,1%. As a result of the dividend increase my yearly estimated dividend income increased with $3,60. After the dividend increase the yield on cost is 2,75%. 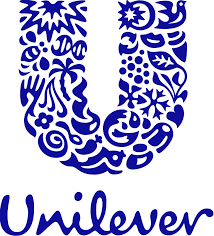 Unilever announced a quarterly dividend increase from €0,3585 to €0,3872. This is a dividend increase of 8,0%. As a result of this dividend raise by Unilever, my yearly estimated dividend income will increase with €2,30. The yield on cost will increase from 3,50% to 3,78%. l’Oreal is proposing a dividend over 2017 of €3,55. This is up 7,6% from the 2016 dividend which was €3,30. I own 6 shares l’Oreal so this proposed dividend increase will result in an yearly estimated dividend income increase of €1,50. 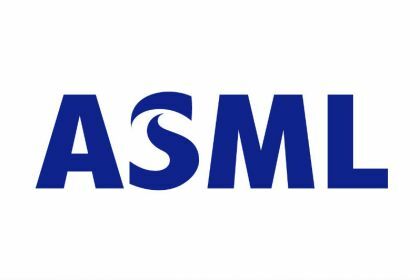 Recently ASML proposed a dividend increase from €1,20 to €1,40. The dividend still needs to be approved by the shareholders. The proposed 2017 dividend is 17% higher than previous years dividend. As I own 6 shares ASML my estimated yearly dividend income will increase with €1,20. In February Aegon announced an increase of their half year dividend from €0,13 to €0,14. This is a dividend raise of 7,7%. As a result the full year dividend will be €0,28 with a dividend yield of 5,0%. I own 120 Aegon shares. As a result of this dividend increase my yearly estimated dividend income will increase with €2,40. This week Royal Bank of Canada announced an dividend increase. The quarterly dividend will be increased from CA$0,91 to CA$0,94. I own 10 shares Royal Bank of Canada. This dividend increase will increase my estimated yearly dividend income with €0,77 with a estimated yield on cost of 3,90%. Today Macquarie Infrastructure Company announced that the Q4 dividend will be increased from $1,42 to $1,44. 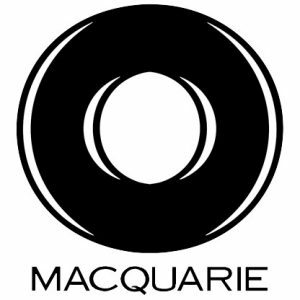 Macquarie Infrastructure Company also announced the dividend outlook for 2018 will be decreased to $1,00 per quarter. Due to the dividend cut the share price of Macquarie Infrastructure Company is down almost 40%. I decided to double my position in Macquarie Infrastructure Company from 21 to 42 shares and bought 21 additional shares against a price of $39,51. Based on a quarterly dividend of $1,00 the shares have a yield on cost of 10,1%. For speculative reasons I increased my number of shares. The purchase of 21 shares is resulting in an incrase in estimated yearly dividend income of $84. I do consider this purchase speculative. Although Macquarie Infrastructure Company is saying the want to use the cashflow to fund projects which should normally result in additional cashflow in the future, I’m not sure this is the only reason, becausee altough interest rates are rising, they are still low compared to historic rates. I personally buy sometimes extra shares at the moment the price is going down a lot speculating on an overreaction in the market. Only the future will learn me if this was a good or wrong bet. With this purchase my average purchase price decreased from $69,61 to $54,56. Estimated yield on cost will be 7,33%.